Edinburgh Centre for Robotics students have full access and borrowing rights to all books in the Robotics library. 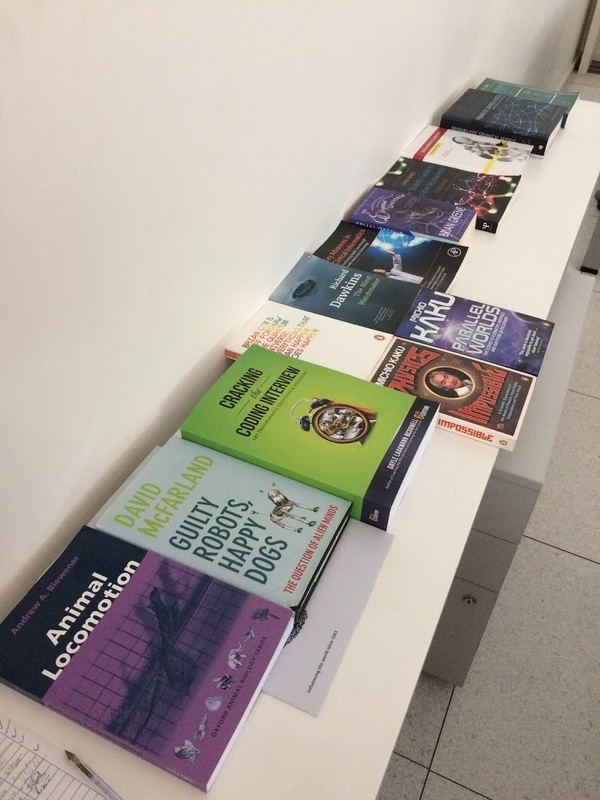 Our libraries are located at the Robotarium, Heriot-Watt University and at the InSpace facility on the ground floor of the Informatics Forum. A list of the current books can be viewed below (if a book you would like to borrow is not listed please contact the Adminstrative staff at either institution to request a 'new book').